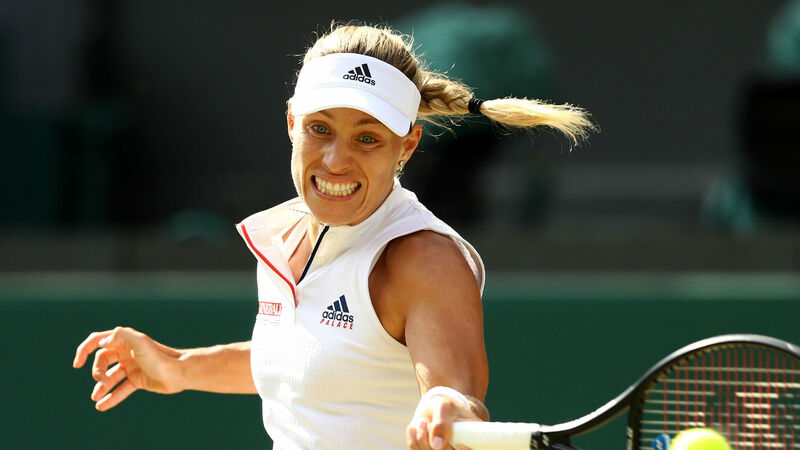 Angelique Kerber denied Serena Williams a fairytale eighth Wimbledon title and a shared slice of history with a straight-sets victory in the women’s singles final. Williams was aiming to match Margaret Court’s record of 24 grand slam singles titles after a remarkable run just 10 months removed from the birth of her first child. However, Kerber’s vintage defensive skills enabled the German to neutralize — her opponent’s immense power and earned the 11th seed — guilty of just five unforced errors in the match — a 6-3 6-3 victory on Centre Court for her first Wimbledon crown. Kerber, only the second person after Williams’ sister Venus to beat the American in multiple slam finals, lifted the Australian and US Open titles two years ago en route to the top of the world rankings and is projected to move as high as fourth come Monday. Kerber regained her composure as some textbook defense and pin-point striking brought up three more break points in game seven — the third of which was taken when Williams erred with a forehand. To Williams’ credit, she made her opponent work for the win, but on this occasion history was just out of reach as Kerber celebrated becoming the first German to win Wimbledon since Steffi Graf won her seventh title in 1996.